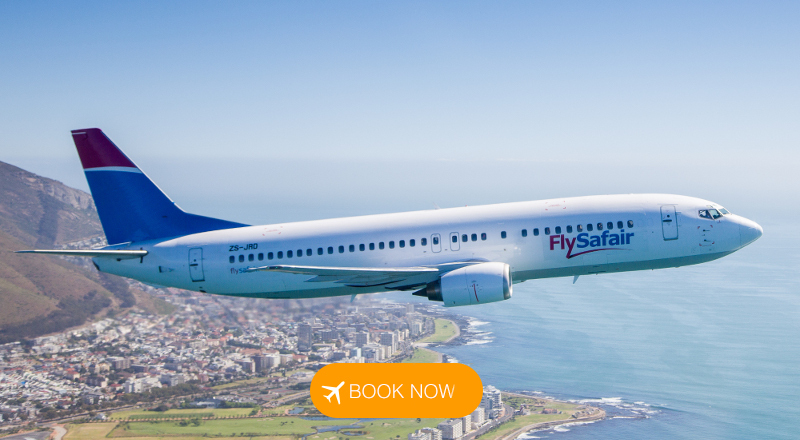 Save 25%* on FlySafair Flights | Today Only! Book before midnight today, the 31st of January 2019, to save 25%* on FlySafair flights for travel between 1 and 28 February 2019. Routes on sale include flights between Cape Town and Johannesburg, Johannesburg and Durban and many other domestic flight routes. Don't delay, book before the best airfares are all gone! * The 25% discount will be applied to the airfare before any airport taxes or extras are added to the purchase. For clarity, airport taxes and extras will not be discounted by 25%. This offer is limited to 315,000 seats, therefore it is subject to availability. The discounted offer is not applicable on travellers under the age of two years or groups over 15. This an online only offer.